CHARLOTTE, N.C. – Twelve defendants pled guilty in Mecklenburg County Superior Court on February 19-20, 2013. Eleven of the defendants were habitual felons and were sent to prison. The defendants entered their guilty pleas in courtroom 5350 before The Honorable W. Robert Bell, Superior Court Judge. Sidney Patton, 74, pled guilty to trafficking in cocaine. Patton was sentenced to 70-84 months in prison. In May 2012, authorities caught Patton at Charlotte Douglas International Airport attempting to smuggle more than 200 grams of cocaine into the United States. Patton has prior convictions that date back to 1959 and include eight counts of common law robbery, three counts of obtaining property by false pretenses, and being a habitual felon. Reginald Gwynn, 51, pled guilty to 1) four counts of financial card theft, 2) seven counts of identity theft, 3) two counts of felony breaking or entering a motor vehicle, and 4) being a habitual felon. Gwynn was sentenced to 100-144 months in prison. 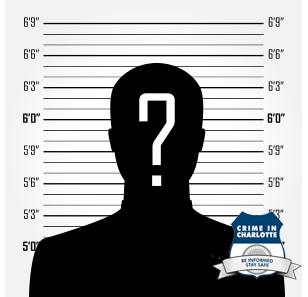 Some of Gwynn’s previous convictions include financial card theft, possession of cocaine, robbery with a dangerous weapon, and being a habitual felon. Michael Whatley, 37, pled guilty to 1) felony breaking or entering, 2) larceny after breaking or entering, 3) felony breaking or entering a motor vehicle, and 4) being a habitual felon. Whatley was sentenced to 76-101 months in prison. Whatley has prior convictions that include six counts of felony breaking or entering, five counts of felony breaking or entering a motor vehicle, and being a habitual felon. Jimmy Massey, 50, pled guilty to 1) felony breaking or entering a motor vehicle and 2) being a habitual felon. Massey was sentenced to 30-48 months in prison. Massey has prior convictions for felonious restraint, felony breaking or entering a motor vehicle, and larceny after breaking or entering. Michael Paschall, 49, pled guilty to 1) common law robbery and 2) misdemeanor assault with a deadly weapon. Paschall was sentenced to 27-44 months in prison. Paschall has prior convictions that include possession of cocaine, deliver cocaine, and felony larceny. Sydney Spears, 22, pled guilty to 1) felony breaking or entering and 2) admitted his status as a habitual breaking or entering offender. Spears was sentenced to 23-40 months in prison. His prior convictions include two counts of conspiracy to commit robbery with a dangerous weapon, felony breaking or entering, and felony possession of a stolen motor vehicle. Note: Almost all guilty pleas entered in criminal administrative court are the result of an agreed upon plea arrangement between the State and the defendant, which is then approved by the sentencing judge. For more information about why most cases must be resolved by plea negotiation instead of jury trial, please visit the “Understanding Criminal Court” section of the DA’s website at www.charmeckda.com.